Commercial dehumidifiers and 100 percent outside air ventilation system (OAVS) technology for indoor pools have significantly changed in the last decade. Consequently, a new or retrofitted natatorium HVAC system can potentially save millions of dollars in energy costs over the equipment’s 15 to 25-year lifecycle, depending on the sustainable options specified. web-based microprocessor monitoring and alarms for maintaining daily pinpoint, real-time control by factory technicians. 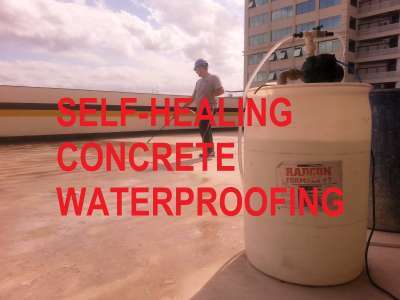 shared by the aerobics and aquatic areas free of condensation. 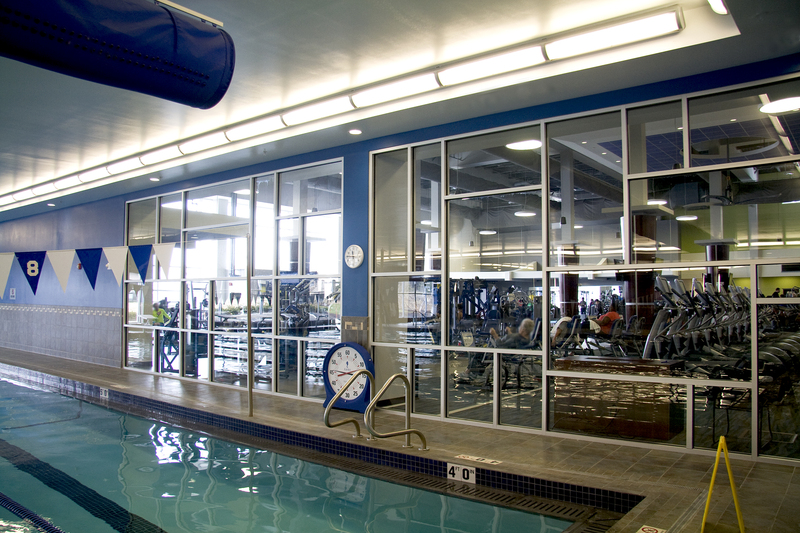 The design team kept the aquatic center a focal point at HUMC Fitness and Wellness Center with ample use of glass separating it from the other areas. Thousands of units manufactured after the 1970s’ advent of the modern-day mechanical indoor pool dehumidifier will be reaching the end of their useful lifecycle within the next five years. Most of these aging dehumidifiers operate using the hydrochlorofluorocarbon (HCFC) refrigerant R-22. According to the 1989 international treaty, Montreal Protocol on Substances that Deplete the Ozone Layer, this refrigerant has ozone-depleting potential. As a result of the treaty, R-22 is amid a world-wide manufacturing phase-out. The phase-out—which currently calls for 90 percent next year and 99 percent in 2020—has already spiked prices due to dwindling supplies. Price volatility is demonstrated by contractor charges ranging anywhere from $35 to more than $100 per pound of R-22. Conventional natatorium dehumidifiers built during last 25 years can range from 45 kg (100 lb) to more than 317.5 kg (700 lb) of refrigerant. Therefore, a dehumidifier that leaks all, or even a substantial portion, of its R-22 refrigerant charge could represent significant cost for refrigerant replacement, not to mention damage the environment. This fact alone should get natatorium owners’ attention. However, the fact a refrigeration circuit will generally have at least one or two refrigerant leaks during its lifecycle should also be considered. R-410A is the succeeding refrigerant to R-22. It is a less environmental-damaging hydrofluorocarbon (HFC)—due to its lack of chlorine—and used in most new dehumidifiers over the last five years, but it is also expecting a future phase-out and subsequent price increase. Refrigerant price volatility, as well as the suspected danger to the environment, has prompted many HVAC manufacturers to look toward alternatives, such as substituting up to 85 percent of the refrigerant with glycol for heat rejection. Glycol is significantly less toxic to the environment. It operates under pump pressures versus the high pressures of compressors and refrigerants; thus, it is less likely to leak—when it does, glycol is not a vapor or ozone-depleting chemical. The glycol-based units still have a small refrigerant charge of typically 10 to 20 percent of conventional dehumidifiers. These refrigeration circuits are necessary for dehumidification and optional natatorium space-cooling, however, they carry dramatically less leak liability and risk because they are ultra-compact and factory-sealed by expert technicians. The glycol is transported through polyvinyl chloride (PVC) piping to dry coolers for heat rejection. 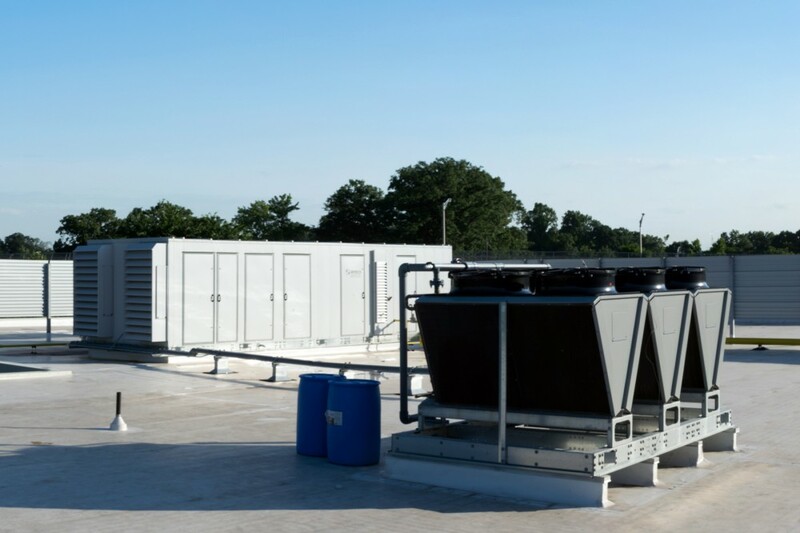 It also eliminates the potential of installation errors involving hundreds of pounds of refrigerant, expensive copper piping, and outdoor air-cooled condensers subject to contractor onsite workmanship. 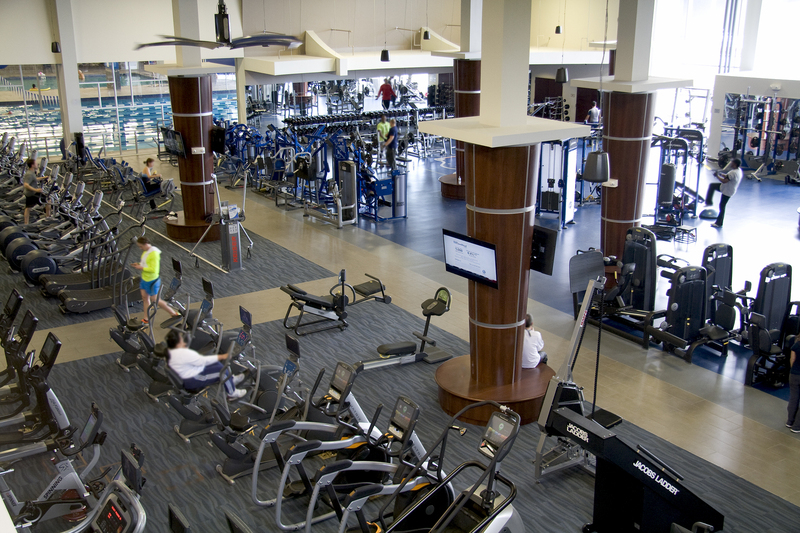 In New Jersey, the new $24-million Hackensack University Medical Center’s (HUMC’s) Fitness and Wellness Center Powered by the Giants, employs a 70-ton, 23,000-cfm dehumidifier that uses 80 percent less refrigerant to dehumidify its 743-m2 (8000-sf) aquatic space. The dehumidifier substitutes glycol for the estimated 312 kg (690 lb) of R-410A refrigerant used by a similar-sized conventional dehumidifier. Specified by consulting engineer firm, Jarmel-Kizel Architects and Engineers, the 10,405-m2 (112,000-sf) facility’s step toward refrigerant independence complemented HUMC’s sustainable programs, such as its in-house Dierdre Imus Environmental Health Center—a not-for-profit children’s advocacy group dedicated to identifying, controlling, and preventing environmental toxic exposure. Direct-drive plenum fans connect the motor directly to the fan shaft, thus eliminating friction, noise, maintenance, and power transfer inefficiencies associated with traditional belt-driven fans. As a result, a direct drive plenum style fan uses considerably less energy. Whether it is an indoor pool for a small hotel or a large community center, specifiers should prepare for the coming deluge of the aforementioned dehumidifiers that will need replacement in the coming years. A drop-in replacement with today’s technological improvements might appear feasible on paper, but the reality of mechanical room access may not accommodate a machine that is 2.4 x 3 x 9.1 m (8 x 10 x 30 ft) and arrives at the jobsite on a semi-truck flatbed trailer. This was a situation confronting Ottawa-based consulting engineer firm, Goodkey Weedmark & Associates in nearby Kanata, Ont., during a $500,000-retrofit of the 25-year-old conventional indoor city recreation center into the new Kanata Leisure and Fitness Centre Wave Pool (KLFCWP). 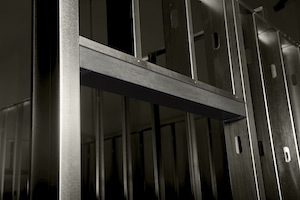 The firm specified one large 2.6 x 3 x 7.3-m (8.5 x 10 x 24-ft) custom-manufactured unit, which was able to fit into a small mechanical room with no shipping door access thanks to a mechanical room’s mezzanine-level large exterior wall outdoor air louver. The dehumidifier manufacturer pre-planned the custom-built unit for breakdown into three 2.4-m (8-ft) long sections for shipping after the factory assembled and tested it under simulated natatorium operating conditions. Mechanical contractor, T.P. Crawford (Gloucester, Ont. ), rigged the three sections through the outdoor air louver, which was enlarged to 2.8 x 3-m (9.1 x 9.8-ft) for more access. The contractor then assembled and installed it inside the mechanical room. The louver’s opening then refitted for a new outdoor air damper/louver to comply with American Society of Heating, Refrigerating, and Air-Conditioning Engineers (ASHRAE) 62, Ventilation for Acceptable Indoor Air Quality—the standard’s outdoor air rates that had increased since the original building’s construction in 1986. 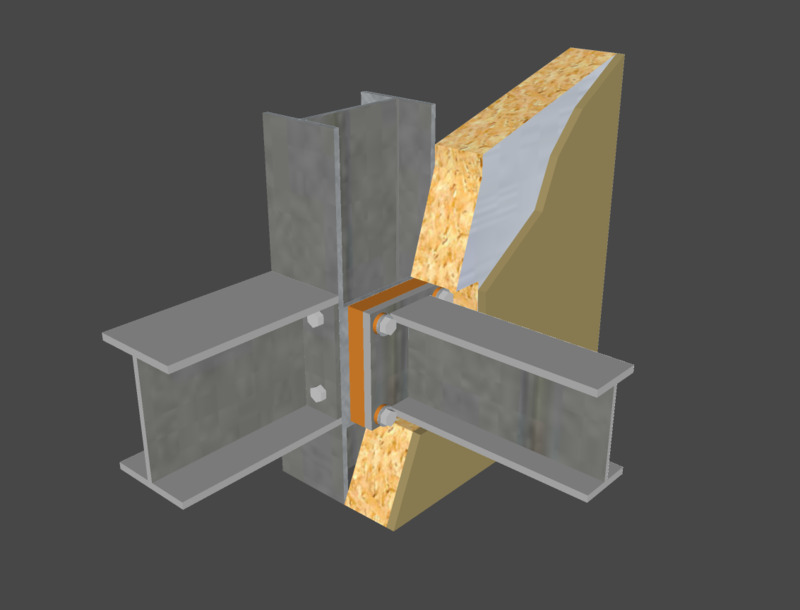 Instead of unit breakdown and assembly inside the mechanical room, a less-expensive and more reliable solution for cramped access and space in mechanical rooms has been developed. 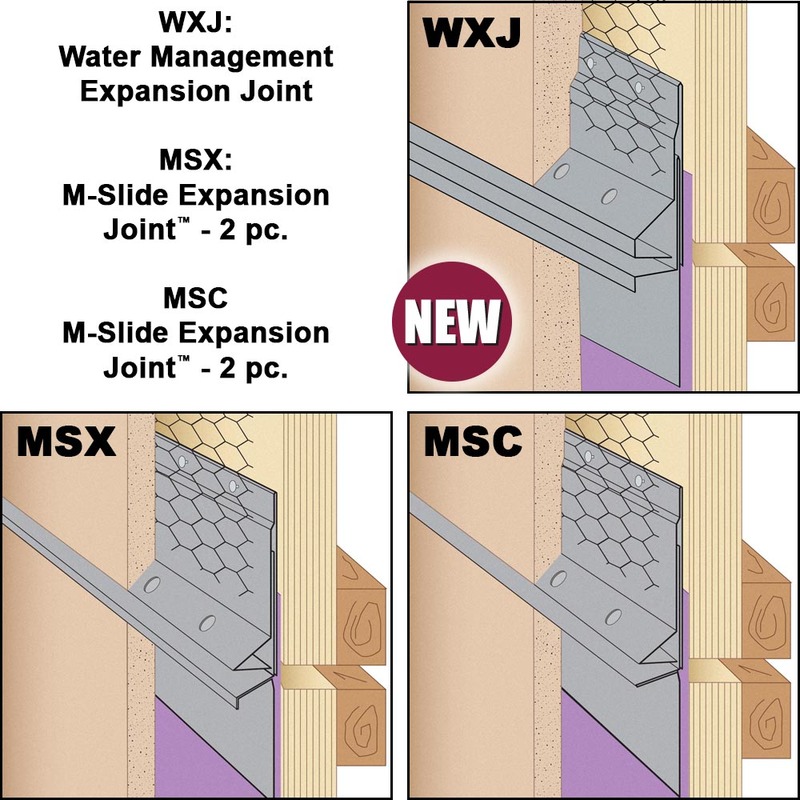 The solution is modular units designed to fit through 812-mm (32-in.) wide door frames. Once dollied into the mechanical room, the small horizontal footprint modular units are stacked and connections are quickly integrated to operate in tandem. Multiple pairs can equal the capacity of large units, but they consume considerably less floor space of large original dehumidifiers. 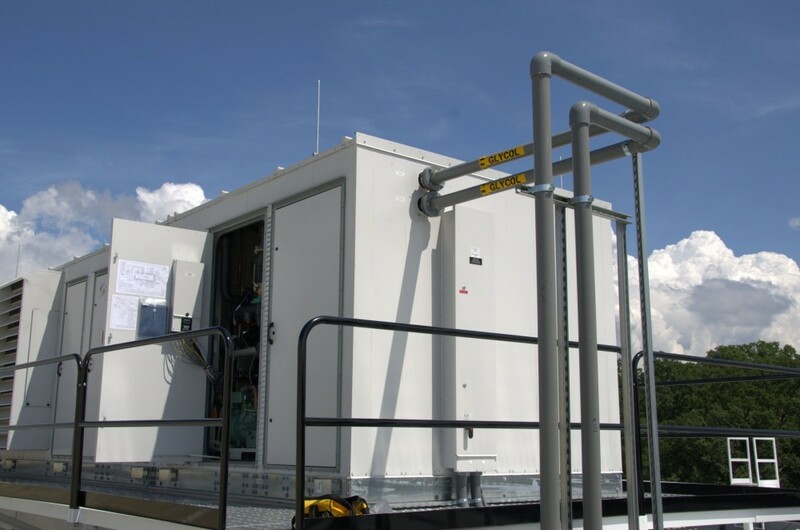 While they are mainly a logistics benefit and designed for retrofitting, the redundancy of two compressors, two coils, and two fans also offer energy-efficient staging that the larger unit with one compressor could never achieve. For example, during low-occupancy periods, staging off one of two small compressors instead of operating one large compressor sized for full occupancy can be a significant energy-savings. 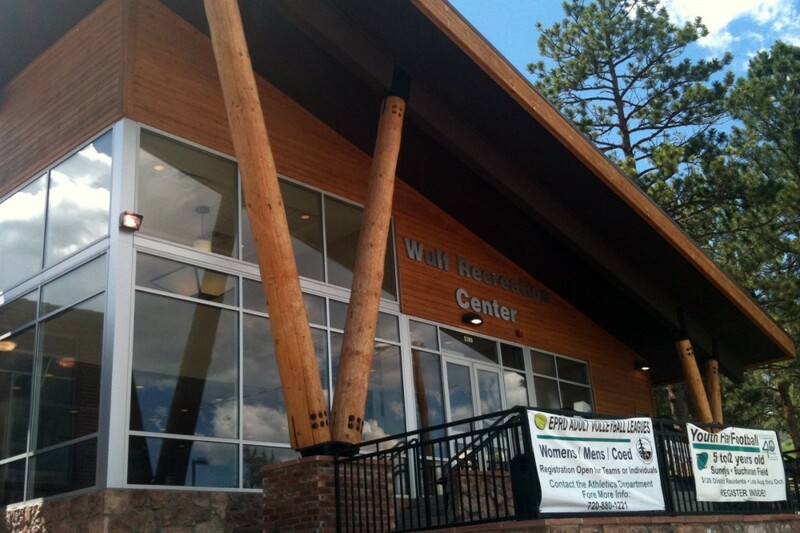 The Wulf Recreation Center’s new outdoor air ventilation system, does not use compressors, but does take advantage of Colorado’s dry, cooler mountainous climate to provide ideal indoor air quality to the pool. The system uses several state-of-the-art technologies including heat recovery, direct drive fans, and an on-board microprocessor controller. Another sustainable consideration for either retrofits or new construction is an OAVS instead of a mechanical dehumidifier; however, the former is only viable in drier, cooler climates, such as mountainous regions or the northern United States. Using outdoor air in these geographical regions can reduce operating costs significantly, versus continually conditioning air with more energy-intensive compressor-based mechanical refrigeration circuits to maintain a natatorium’s desired 82 to 85 F (27.7 to 29.4 C) space temperature and 50 to 60 percent relative humidity (RH). What make OAVS more conducive today versus a decade ago are many recent technology and control advancements combined with code changes mandating higher minimum amounts of outdoor air for indoor air quality (IAQ) reasons. 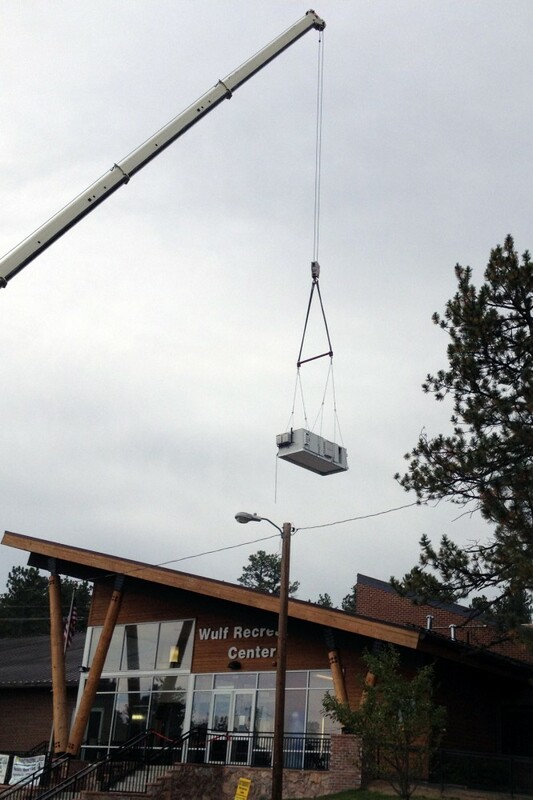 For example, today’s technological advancements were one of the reasons energy performance contractor, McKinstry in Seattle, Washington, was able to guarantee a 32-percent reduction as part of the retrofit of the 40-year-old Wulf Recreation Center in Evergreen, Colorado. The 3716-m2 (40,000-sf) center’s $540,000 retrofit—which included lighting, building envelope insulation, and digital controls—is saving the center $18,000 annually. 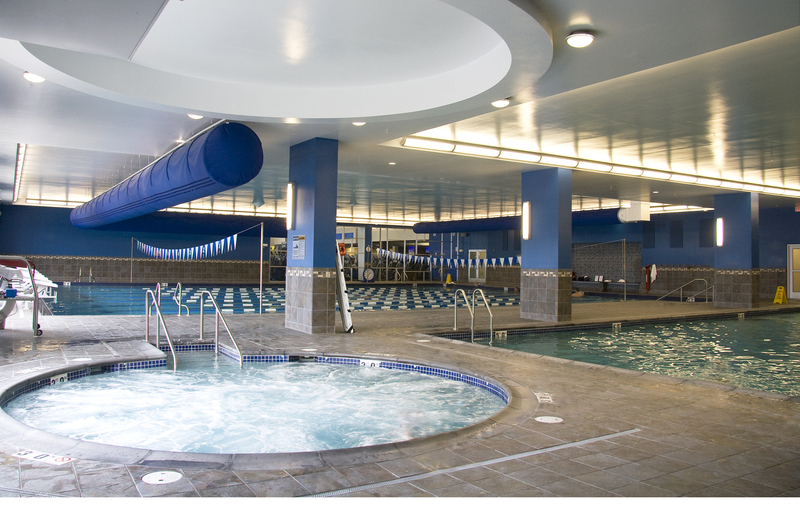 New state-of-the-art indoor pool ventilation garners a significant portion of the savings. The two 6500-cfm outdoor air ventilation replacement systems for the 650-m2 (7000-sf) indoor pool is now saving a minimum of $4995 in operational savings and $12,704 in reduced therms annually, versus the former original gas-fired make-up air system, according to utility bills for the facility and an energy review McKinstry performed as part of its energy performance contract. Integral to the savings are the two units’ heat recovery, direct drive fans, and an on-board microprocessor controller for pinpoint outdoor air modulation. Unlike the original supply/exhaust system, heat from the space’s exhaust air is now recovered via a glycol run around loop (GRAL) for pre-heating outdoor air. Using heat recovery helps raise outdoor air temperatures from –17.7 to 7.2 C (0 to 45 F) and reduces heating costs significantly. 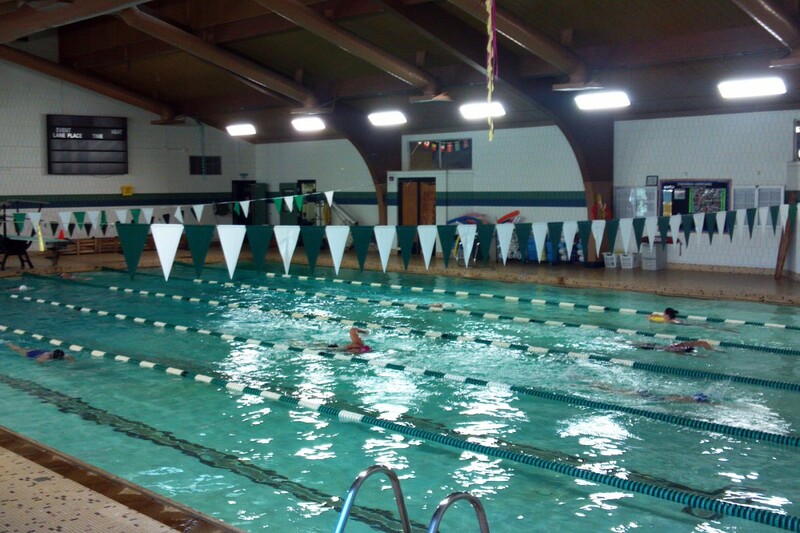 As the Wulf Recreation Center demonstrates, an OAVS indoor swimming pool environment can be precisely controlled for much of the year, due partly to the technology advancements of outdoor air modulation controls. While a well-designed OAVS can provide precise space conditions during drier, colder outdoor weather, this approach is not suitable for every facility. This is because there are periods when the space conditions may become warmer and more humid than desired, such as during mild weather and summer. For facilities where this period of time is short, or where the patrons would not mind elevated conditions during the warmer weather as a trade-off to the higher operating costs of running and maintaining a refrigeration circuit, OAVS is definitely a viable, sustainable option. Whether an indoor pool is a prime candidate for the OAVS approach can be determined by software available from most dehumidifier manufacturers. The software calculates and models the expected space conditions throughout the course of a year, using local weather data input. The real game-changer in indoor pool HVAC energy savings has come with technology such as exhaust-air heat-recovery, dedicated duty direct drive fans, and microprocessor operational control and monitoring. Perhaps the most energy-saving air comfort and efficiency development has been the modulating outdoor air control. These controls monitor indoor and outdoor air conditions precisely and introduce only the amount of outdoor air required to maintain the best possible indoor air conditions. Before these precise controls were developed, natatoriums might have provided more outdoor air than needed during ultra-dry winter conditions that resulted in indoor relative humidity (RH) levels dropping too low below the desired 50-percent RH. Low RH levels create an uncomfortable chilling effect on wet skin and also raise operational costs. Bringing in more outdoor air than needed results in more outside air and pool water heating requirements. Another option is pool water heating via heat recovery from the refrigeration circuit’s compressors. However, the ‘free’ pool water heating option is sometimes omitted during product specification, especially in value engineering requests. 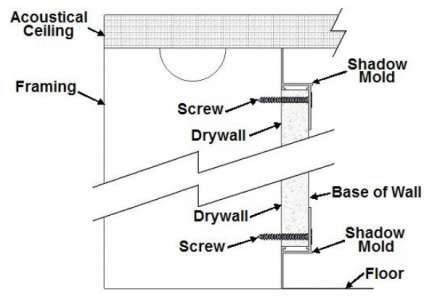 It is also sometimes missed during contractor installation. There are dozens of dehumidifiers currently operating in natatoriums throughout North America where this energy-saving feature is mistakenly bypassed unbeknownst to the building owner. Consequently, the facility needlessly pays for pool water heating via a separate conventional gas-fired or electric pool water heater originally intended to back-up the dehumidifier’s pool water heating or expedite it during a dump-and-fill. Selecting a mechanical dehumidifier with pool water heating through heat recovery might raise the upfront capital cost, but the benefit over the long-term will result in thousands of dollars saved in energy costs, depending on the facility size. ASHRAE 90.1, Energy Standard for Buildings Except Low-rise Residential Buildings, has taken the energy recovery requirement a step further by mandating heat recovery or a pool cover. Many states have adopted the standard into local code requirements. ASHRAE 90.1 calls for a pool cover for commercial indoor pools using conventional pool heaters unless “over 60 percent of the energy for heating comes from site-recovered energy.” The pool water heating option for a compressorized unit easily satisfies this requirement, but could also help satisfy a local code requirement and help eliminate the need for a pool cover. ASHRAE 62, Standards for Ventilation and Indoor Air Quality, recommends all commercial buildings bring a prescribed percentage of outdoor air as mandated by local building codes. For the northern United States and Canadian indoor pools, wintertime heating of cold outdoor air to at least 26 C (80 F) to match the pool air temperature is costly. Fortunately for natatorium operators, their facilities’ humid and warm exhaust air is extremely energy rich and ideal for energy recovery. This recovered energy can be used to preheat the code-required outdoor air via heat-exchangers. Preheating outdoor air using recovered heat from the exhaust air can cut outdoor air-heating costs by 50 to 75 percent. The payback for this kind of pool dehumidifier option is often only a few months (and rarely more than a few years), which makes it a cost-effective investment. Remotely located exhaust fans can also be outfitted with heat transfer coils piped to the dehumidifier. Natatorium exhaust air is an energy source specifiers and operators should always consider for heat recovery. Aging dehumidifiers manufactured before this feature was available should be reviewed for a more energy-efficient replacement. Another example of a new energy savings technology is the introduction of dedicated duty direct-drive plenum fans with variable frequency drives (VFD). These plenum fans are a different style of fan that delivers air more efficiently than the traditional centrifugal-style typically seen in traditional dehumidifiers. 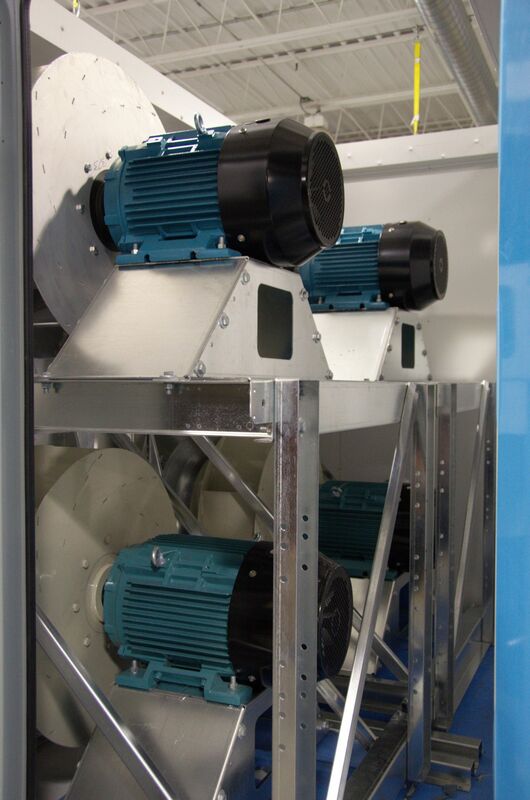 Compared to traditional belt-driven fans, a direct-drive plenum fan with a VFD can amount to as much as 15 percent in fan motor energy reduction. Considering a pool dehumidifier’s fans typically operate 24/7, the savings over the equipment’s lifecycle can be significant. The payback is instantaneous since direct-drive plenum fans with VFDs have comparable price to belt-driven systems. Unlike belt-driven fans, the direct-drive concept connects the motor directly to the fan shaft. Thus, it eliminates friction, noise, maintenance, and power-transfer inefficiencies associated with belt drives. All the aforementioned energy-saving technologies are worthless unless they stay well-tuned, maintained, and monitored. Unmonitored systems can limp along well below their intended optimal operating conditions, unbeknownst to the building owner. Some dehumidifier manufacturers have solved this dilemma with the development of on-board monitor/control microprocessors that can send the entire unit’s vital operating statistics to the factory via the Internet. These programs sometimes offer a free daily monitoring service and even have smartphone applications where an authorized user can get e-mail alerts or access a unit from anywhere. The manufacturer can alert the facility manager of any issues and help the local service contractor troubleshoot, set up, or adjust the unit to ensure optimal performance. In the event of an alarm, troubleshooting can be assisted by a factory engineer, which ensures a quick resolution to any problem. Many of the aforementioned advancements in indoor pool dehumidification over the past decade are manufacturers’ catalog items, but they also must be understood and specified by the consulting engineers and contractors. Once the building is operating, specifiers as well as building owners can rest assured the facility is operating at an optimal efficiency and is using the least amount of energy possible in providing IAQ. Ralph Kittler, PE, is a co-founder and vice president of sales/marketing at Seresco Technologies, an Ottawa-based manufacturer of conventional and reduced-refrigerant natatorium dehumidifiers, and outdoor air ventilation system natatorium HVAC systems. He has 24 years of experience in the HVAC industry and a degree in mechanical engineering from Lakehead University (Thunder Bay, Ont.). Kittler is an American Society of Heating, Refrigerating, and Air-conditioning Engineers (ASHRAE) Distinguished Lecturer and sits on the association’s Technical Committee 9.8 and 8.10. He can be reached via e-mail at ralphkittler@serescodehumidifiers.com. How about the treatment for Nasturtium in hot humid climate?? ?